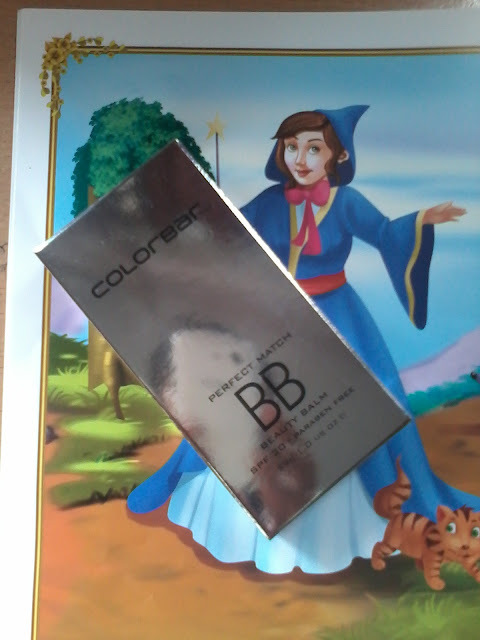 Today I am going to review a product from famous brand Colorbar . 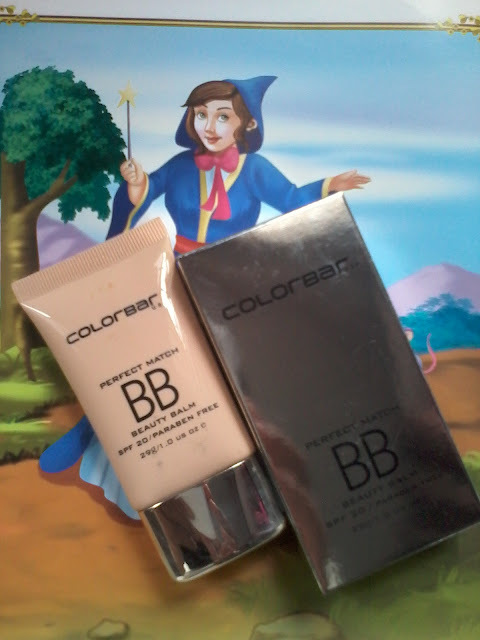 Its Colorbar Perfect Match BB Cream . Colorbar Perfect Match BB Cream is a multi benefit beauty balm which hydrates the skin , hide fine lines and corrects the skin giving good coverage . Its a light weight non greasy formula which is paraben free and has SPF value 20 . I am not saying this BB cream is like that Magic Wand , But its closer to that , really makes one feel and look beautiful for some time . Rs 550 for 29 gms . This product comes in a tube from which the BB cream can be easily squeezed out and applied on skin .Product packaging is good and travel friendly. Steric acid , green tea extract , cucumber extract , sunflower extract , aloe vera extract , fragrance etc. 2..Has SPF 20 ( which is good ), has broad spectrum sun protection . 3.Is light weight and non greasy . 4.Does not makes skin look or feel oily . 5.Gives full coverage even to acne prone and oily skin . 6.Ideal for Indian skin tone . 7.Contains extracts of some natural products like aloe vera , cucumber , sunflower etc . 9. Travel friendly pack . This product is available in three shades , one can choose according to their skin type . I have the first shade Vanilla Crème . The product claims to hide fine lines , give full coverage to skin , repair uneven skin tone , hydrate the skin . Its much different from BB creams of other brands . It gets absorbed in the skin easily and quickly and makes the skin look clean and glowing . Does not makes the skin look oily or sticky . Gives full coverage . Covers fine lines & acnes perfectly . One can also use this as a makeup base or foundation . I have brought this product from online store Nykaa.com , one can easily find this on several online stores . Hope you all enjoyed reading this post , do share the BB creams you have used in the comment section below .